Over 230 Israeli nationals arrive in the country for a 3-day tour around Uganda. ENTEBBE – The Uganda Tourism Board has today welcomed a group of at least 230 Israeli nationals who are in the country for a 3-day tour of Uganda. 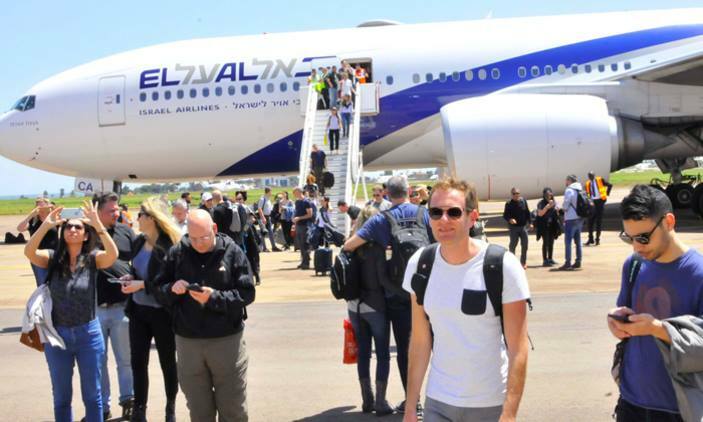 The tourists came aboard a direct chartered flight – from Israel to Uganda, the ELAL flight; the first direct flight from Israel to Uganda since 1976 ‘Raid on Entebbe’. Commenting on the trip, Ms. Tali Yativ, the organiser and team leader of the group said that this was a first of a kind tour for the group. “This trip is a first of its kind for us and we are looking forward to a great experience in Uganda. We are mostly pleased to see the tourist site of the Uganda old airport tower where a group of Israelis were held hostage by Uganda’s former president. We, however, look forward to touring more of Uganda over the next few days” Yativ said. The group is in the country until Saturday, February 16, 2019, and will be visiting the Murchison Falls National Park, the Jewish community in Mbale and various sights in Jinja including the source of the Nile. UTB outgoing CEO Mr Stephen Asiimwe said that this was a remarkable development in the sector and the results of this trip will be key in increasing the number of Israeli visitors to Uganda. Additionally, a group of Presidents of Major American Jewish Organizations are currently in the country as part of a national leadership delegation to Uganda. They will today be hosted by the Uganda Tourism Board to a cultural experience by Ndere Troupe at the Kampala Serena Hotel. 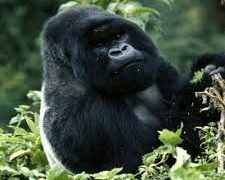 Uganda Tourism Board (UTB) is a statutory organization established in 1994. Its role and mandate was reviewed in the Tourism Act of 2008. The Board’s mandate is to promote and market Uganda across the region and internationally, promote quality assurance in tourist facilities through training, grading and classification, promote tourism investment, support and act as a liaison for the private sector in tourism development. the tourism sector through market transformation.